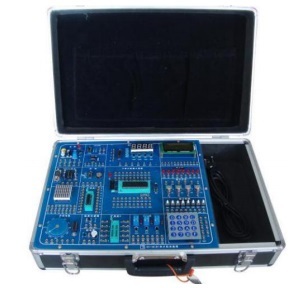 It mainly consists of mother board and small expansion board, expansion board installs the normal electronic components, the expansion board is inserted into mother boar d to completes the experiment, the mother board integrates the principle diagram of audion application and terminals, storage area for small expansion board storage. 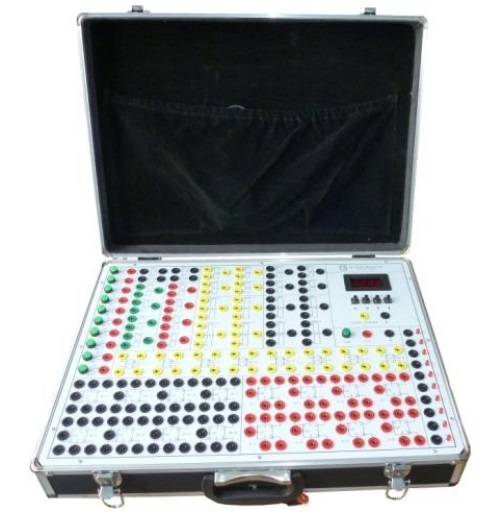 The digital logic experimental portable suitcase consists of normal logic gate circuit、RS trigger、here adopts type of principle symbol and jack, it will be convenient for students learning and using the normal logic gate and trigger etc. 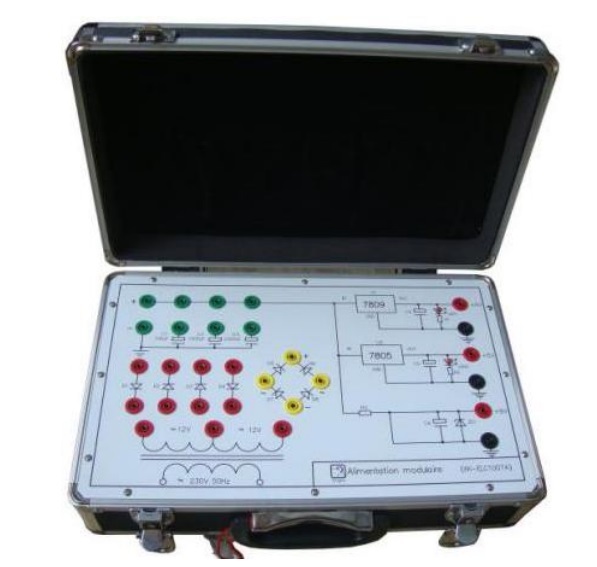 The basic power supply experiment case integrated the modules of rectification 、filtering 、voltage stabilization that related with power supply experiments. Students learning the rectification 、filtering 、voltage stabilization of three terminal regulator 、voltage stabilization of rectifier diode experiments of AC power supply. 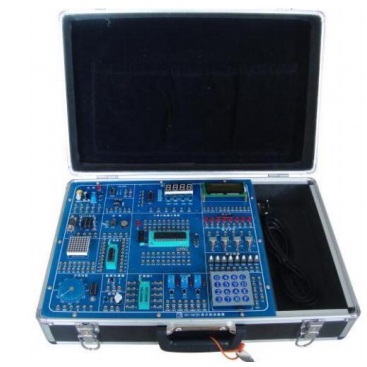 It consists of mother board and expansion board, expansion board is convenient to plug-in mother board to do experiments, mother board can plug-in four expansion boards to operate experiments at same time. 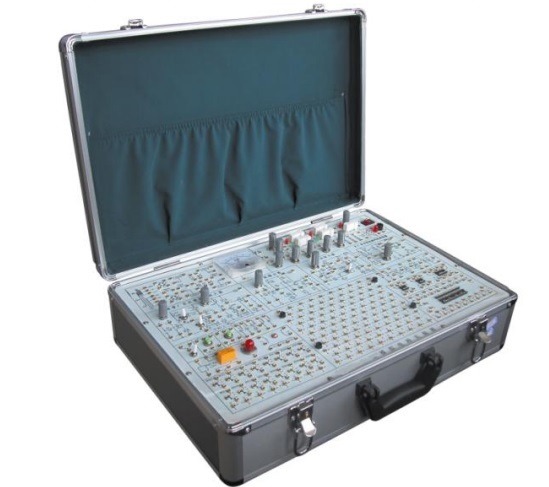 The Experiment box’s mother board integrated power supply, signal source, normal load, breadboard, potentiometer etc. 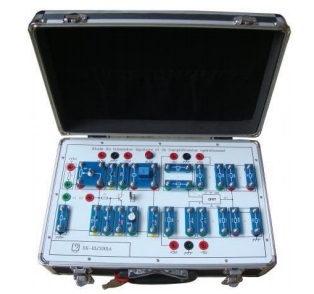 Also integrated several experiment expansion boards: power source experiment expansion board、operational amplifier experiment expansion board、common emitter amplifier circuit experiment board、the common collector amplifier circuit experiment extension board、common-base amplification circuit expansion experiment board. 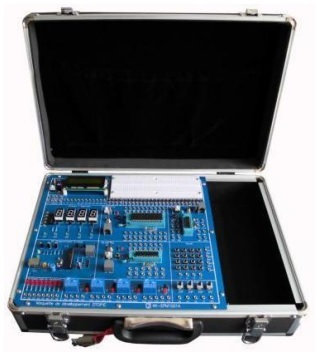 It adopts modularization expansion boards and mother board;It includes logic level input output、 Nixie tube display circuit、 basic logic gate、 RS、 JK、 D trigger circuit、discrete component library、 bread board、 toggle switch、 binary counter circuit, it will finish experiments required by digital electronics course. 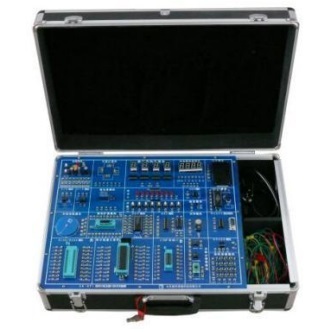 Students can be quickly master the knowledge of digital electronics system design through experiments, also supply EDA design and learning for students. 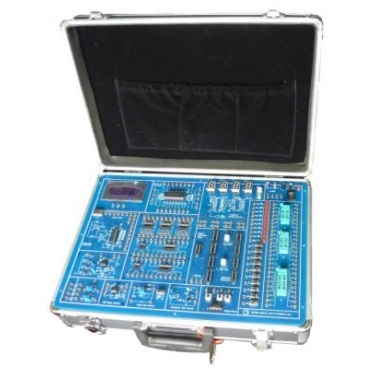 It is composed of motherboard and small experiment modules, the motherboard with a variety of AC power and an adjustable voltage source, and also with analog voltmeter that is connected with output terminals of adjustable DC power supply voltage . 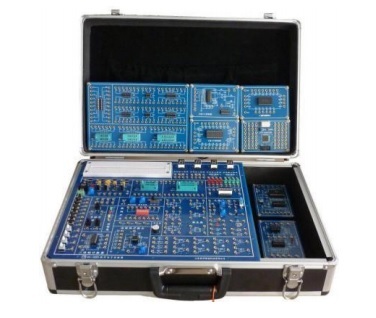 Variety of experimental small modules, includes analog circuits, basic gate circuit, some power components, etc., It can completely finish a variety of experimental projects. During experiment, insert the small modules to motherboard’s experimental area, and using banana head wires connection and do experiments. It consists of mother board and expansion boards, the expansion board is installed with electronics components, it install on mother board t o finish the experiment, the mother board integrated power source 、 power indication light、transistor amplifying circuit unit 、Operational amplifier unit etc. 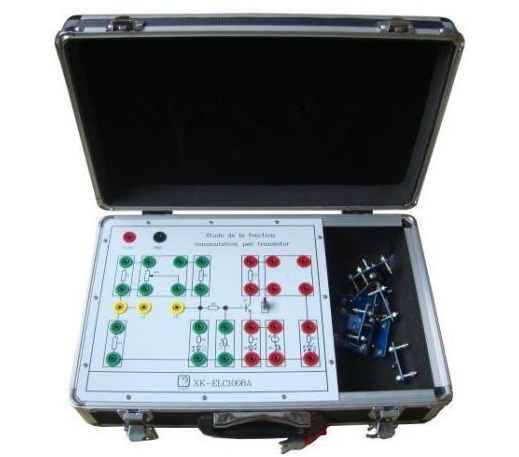 It includes TTL and COMS common logic gate circuit 、key input and LED logic level display, it adopts the type of principle symbol and jacks, it will be convenient for s tudents to learning and using logic gate symbol and logic gate circuit. 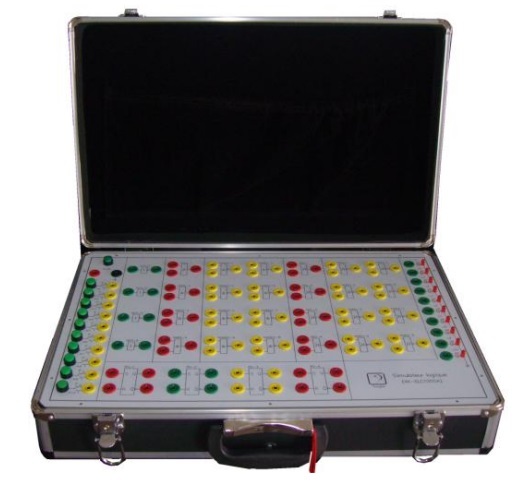 This experiment box adopts the S3C2440 chip of Samsung Company. S3C2440 is launched by Samsung Company, it’ s with powerful function and lowest power consumption and it’ s one kind of ARM9 embedded t ype CPU. 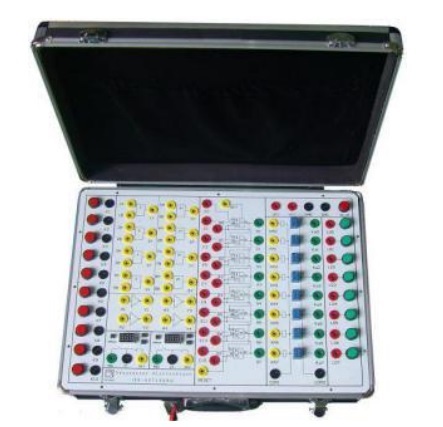 Now it’ s widely used in GPS application、Data Servers、VOIP、network terminals、industrial control 、equipment detection 、 instruments and meters 、 intelligent terminal 、 medical equipment 、 security monitoring etc. 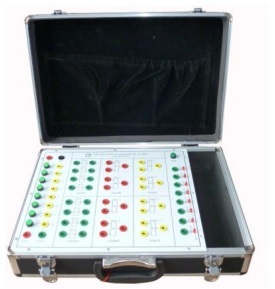 embedded type high-tech application products.  change the processor. The bottom board lead out the common normal interf ace circuit, on the experiment box install the stepper motor and DC motor, easy for learning. 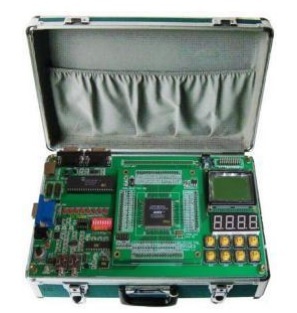 This trainer is mainly suitable for learning of PIC SCM.It is equipped with three kinds of PIC16F877A 、 PIC16F876A 、PIC16F628A chip minimum system 、normal input output e xperiment unit、kit self equipped programmer module, convenient for chip burning program. 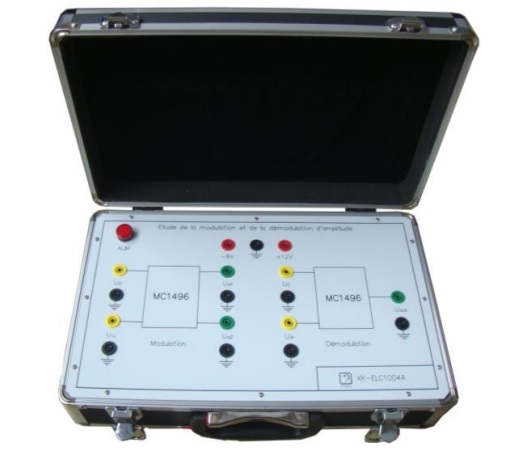 SCM minimum system burning interface supports connect simulator to do simulation. 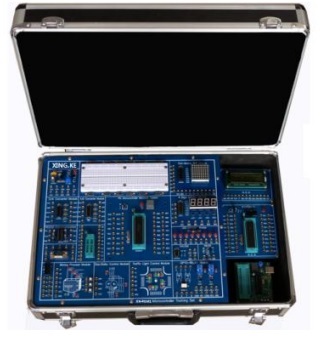 refers current SCM latest and widely application interface experiment, for example, I2C chip、IC card 、ISD voice etc. 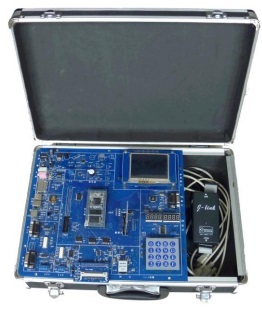 The mother board of kit integrated power source module 、PIC SCM min system module、 normal function unit、 virtual load unit、 bread board extending experiment area. 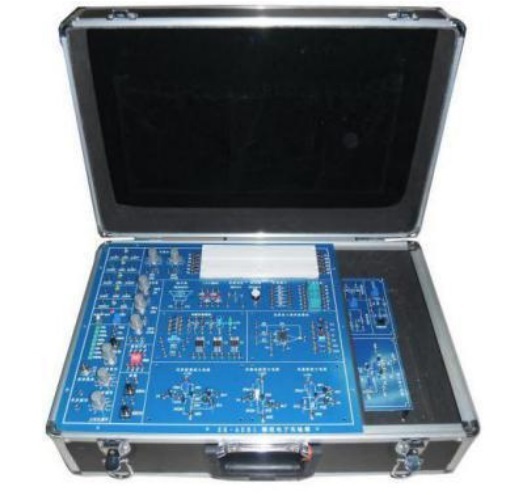 Extending board includes AVR/MCS51 SCM min system, partial function experiment module, configuration required by user, the kit and extending board can be connected by 9 chip serial port line. 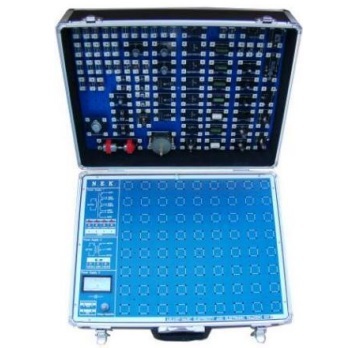 The trainer consists of mother board and expansion board, expansion board convenient for the extending experiment. 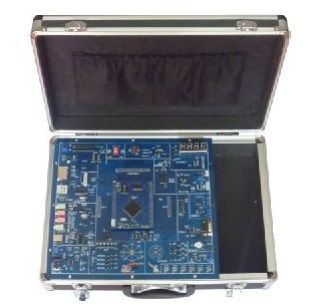 The mother board of kit integrated power source module 、MCS51 min system module、 normal function unit, for example Nixie tube 、 LCD、 Lattice screen、 stepper motor、independent button 、storage chip etc. 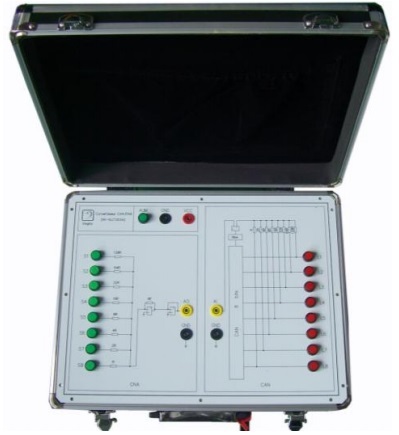 Extending board includes AVR/PIC SCM min system, common function experiment unit, it can be configuration as user diffe rent requirement.